She's a South Korean singer. 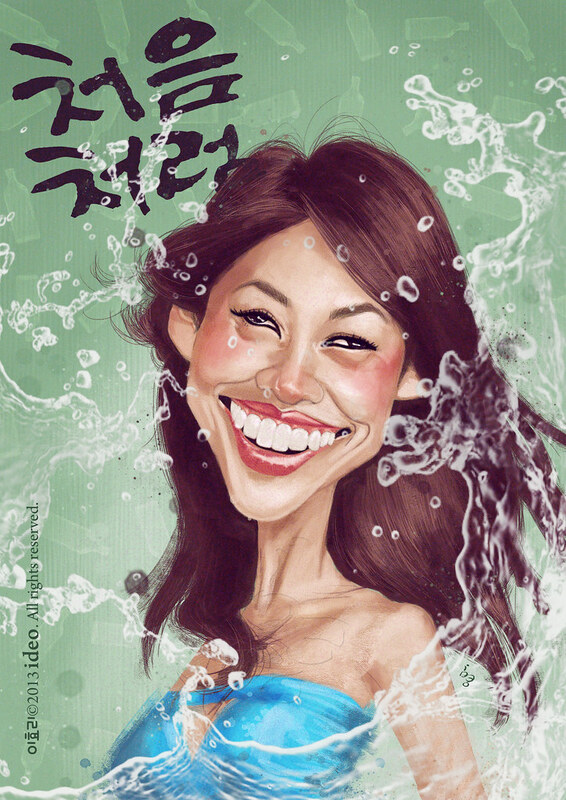 For five years, Lee Hyori was the model for Lotte Liquor (처음처럼), making her its longest-serving endorser. According to Lotte, the market share of the company's soju brand rose from 11 to 15 percent while Lee modeled for it. Her contract ended in November 2012. And I always need you to turn into book my portfolio on Sketchoholic. Come here: http://www.sketchoholic.com/ideo and click on the "Push to shelf" button. The only thing is you have to register to record your push.